I was born on this very fine day many years ago! Thanks, mom, for getting me here, and sorry I came so fast. I always procrastinate, but when it's down to the wire, I'm all GO! To celebrate the increasing flab, wrinkles and the gray hairs that have now started to pop up, I am having an entire day of giveaways! 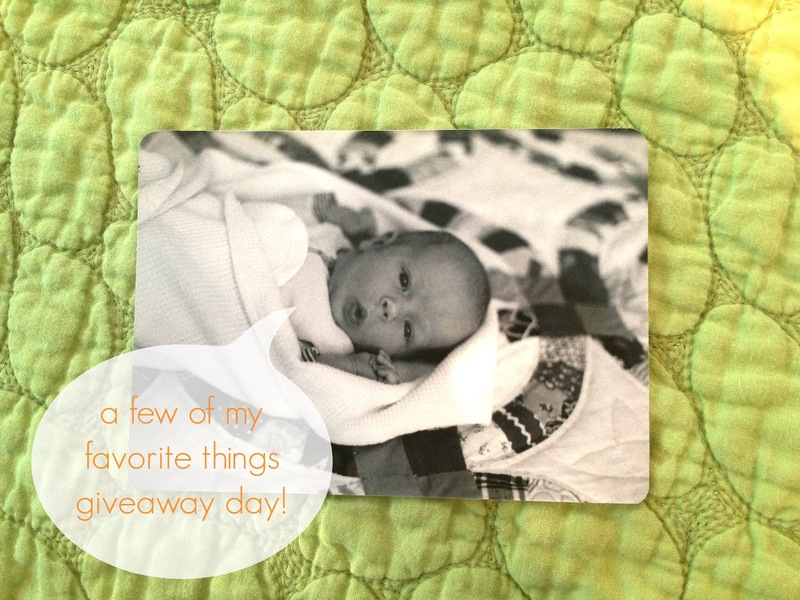 Not quite as good as Oprah's, but I am giving away some of my favorite things on my blog and even a couple on instagram (I'm @nobigdillkaty). Check back throughout the day so you don't miss any and just leave a comment on the post(s) you'd like to enter. Easy peasy. I'll leave them open through the weekend and choose winners on Monday! To STARt, you get YOUR CHOICE of any star from my parents' store, Piggy & Dirt. That's right! Peruse to your hearts content: any size, any color, any center. And if you've never had the pleasure of receiving one of their packages, you are, indeed, in for a treat, for that is almost as much fun as the star inside. Just leave a comment here and let me know which one you'd choose to be entered. Happy birthday!!! May you have a wonderful year! I hope you pick ME, pick ME!!! HAPPY BIRTHDAY TO MY FAVORITE DAUGHTER BORN IN JULY! You are all heart and a lot of soul. Thank you for making me a grampa 6 times over. I love you, your hub, your girls, your boy, your carpe diemism, your faith, your hope, your charity. Have a marvelous day! Happy birthday! Grey hairs at 34 isn't that bad, I'm a year younger than you and I've found a few already! :) I'd definately choose one where you can have a name engraved in the middle. A clear one. I love the peacock star! Also I love you u even rainbowrized the stars order :) happy bday! Hey, I'm 34, too! It's a good year. The start of the mid-30s. Eek. :) Happy birthday! I'd choose the Star of Quatar, or maybe the poinsettia star? So many beautiful ones to choose from. Have a great day celebrating! Happy Birthday! I love the Dora Flora Lime or the Teal Sea Anemonea. So beautiful! Thanks for sharing on your day! Have a lovely Birthday today! So many beautiful stars, how would I ever choose just one? I love your parents stars, hard to choose. I love the star necklace, maybe that. But I also love the big stars, not sure what color, hard to choose! Happy Birthday! The stars are beautiful. I think I'd choose the Lucy in the Sky clear pattern. Happy Birthday! How sweet of you to share and be so giving on your birthday. Who wouldn't want one of those lovely stars. Happy birthday! I'd pick a juicy orange Katy star! Happy birthday! Have a great day! I'd love the teal sea anemone! but they are all gorgeous! happy b-day! mine was just two days ago! i love the "sunshine from a star"! i'd choose Etoiles de Printemps with blue arms and green center. 34 is still cheeky young - for example comparing to my almost 38 :D - and, as a friend's kid said: "You are not old, you're Mom!" I adore the Bradford star. I hope you have a wonderful birthday! I'd either chose pink mum or Lincoln. Happy Birthday! I love the 5 pointed rainbow or the Kinshasa kids star. Drool worthy! I love the Katy star--I love orange best, too! Happy birthday! Happy Birthday! I'd choose the Star of Provence for its sunny yellow- my 2 year old son's favorite color! I would have to pick the Charlotte star (aqua with red center) it goes perfectly with my Charlotte's nursery! Happy Birthday, Katy! The more I see the stars, the more convinced I am I need not just 1, but several! I think I could start with one for a Christmas tree topper. Thanks for the giveaway! Happy Birthday Katy from North Dakota! Even though the weather has been hot around here, I still love the star with the green Celtic glass and the red center. It reminds me of plants blooming in the back garden right now. Well wishes from another 30 something blogger! I've eyed those stars a few times... I think I'd pick the Katy star. Love the orange. I have ordered many stars from your parents and given them as gifts too! It's hard to choose just one favorite star, they're all so pretty. I do love the saffron star, though. That orange is so HAPPY! Happy Birthday! The Dorothy star with her blue gingham sings to me. I love the Koi Checkerboard star with the lighter colored checkerboard paper. I love, love, love your parents stars!! I have 4 of them for myself and have purchased several for gifts!!!! HAPPY BIRTHDAY!!! I would have a hard time choosing between the Lincoln and the Jefferson star!! Gosh definitely a green one, but the red and white striped Christmas ones with the green center are.also.awesome. Happy birthday! I would love the Lucy in the Sky clear star. Happy Birthday! I'd choose the Clark star. My favourite colour is blue. Hope you have a special day! I really like the "what a hoot" with the owls. I also love the Halloween ones. They are super awesome. Happy Birthday! I like all of them but I would pick the Atlantic Ocean star. The Celtic Christmas Stained Glass Star is so beautiful! Happy Birthday, Katy!!! bjahlstrom@gmail.com. I was just on their site this morning looking at stars and deciding if I was going to order a custom one for our back to school theme this year. "I will go and do" or "Have I done any good in the world today." I'd love a bright yellow lemon star. HAPPY BIRTHDAY TO YOU! Beautiful! I love Handel's star! Happy Birthday! I love the lime ones. Little Flora lime is probably my favorite. Oh goodness, I would love this! I've been wanting to order the Atlantic Ocean star with our family motto stamped in the middle for our new home. Happy Birthday!! I managed to narrow down my favorites to the blue marguerite star and the royal blue and yellow star. Hopefully I'll be able to choose if I win! Happy birthday! I love the Lime in the Sky and Old Glory! Happy Day! I so love to read your posts and "real" view of life. Your writing often reminds me to enjoy the chaos around me, so thank you! Blessings to you as you LIVE another year! The stars are so beautiful, they make it so dang hard to pick a favorite. A subtle neutral, or bright spot of color? Man, oh man... I'd probably choose the teal sea anemone or Charlotte. Or the Katy stripe. Or the Bradford. Happy Birthday! I turned 34 this year, too - not too bad so far! I love the Watermelon Lace star - would look adorable in my daughter's room. Happy Birthday! I would love to have Handel's Star, perfect to gift to my piano playing/teaching mom. HAPPY BIRTHDAY!!! I am a totall red girl so the ruby red dipper is perfect for my kitchen window! Happy Birthday! I have bought stars from your parents a couple of times (after seeing them on here) and, you're right, it is a wonderful treat, both the parcel and the stars themselves. The one I would choose right now is the 'Dorothy' star because there's a very special person I know who adores the film and would love this star as a present. I would choose the Celtic Christmas star or Deep Sea Foam Memory. Happy Birthday! What a difficult choice!!! I think I would choose the peppermint star. Oh, my! What an adorable baby photo! Happy Birthday, Katy! Your parents pkgs. are a treat! Your whole family is bursting with originality! I love reading all the descriptions of how each star came into being. Love the stars. I'm trying to decide between "there is sunshine in my soul" and the blue marguerite. Happy Happy Birthday!! Today is my anniversary -- a great day indeed!! All those stars are beautiful, but I guess my favorites are the Clark Star, and the Blue Margerite. Happy birthday, I hope your lucky day brings me luck! Happy birthday to you! My daughter is obsessed with any that have the red and white stripes. Happy Birthday - a happy and healthy year to you!. Don't let the gray hairs get you down!! I would love the There's Sunshine in My Soul Today - I love sun and moon faces. Thanks to you and your parents for a lovely giveaway! Happy Birthday! I would pick something all blue or green. Happy Birthday Katy! I love all the stars. One of my top favorites would be the Marguerite, so pretty! Happy Birthday! What a great giveaway. It was really hard to choose just one but I think I would go with the Teal Sea Anemone Star. Thanks for the chance to win. Happy Birthday! There are so many amazing stars to choose from! It's hard to narrow it down to just one. My favorites are the Teal Sea Anemone, the Moonstone, and the Christmas Candy Cane stars. Thanks for such a fun giveaway! Happy Birthday! I would love to have the Ruby Red Dipper Stained Glass Star in my kitchen window. La Multi Ani! ("to many years")--Romanian birthday greeting. I loved the There's Sunshine in My Soul star. It's beautiful. Close second was the Katy Star--how fitting! Happiest birthday to you! I would love the saffron star or the Katy star! the colors would look beautiful with our house colors (deep red with burnt orange trim). I would hang the star in the window by the front door for all to see!! Happy birthday, my friend (I feel like we're friends ;) !! Funny you have 1/2 dozen kids by 34 and I had my first (twins) at 34! I hope you enjoy your day <3. I adore your parents' work....I would chose the teal star, because teal is the color for Ovarian Cancer, which my wonderful mom is a survivor. Thank you, Katy! Having received a package of Christmas ornaments from your parents, I can most definitely agree that the packaging is amazing. To choose a favorite though...seems impossible. they are all so happy to me. Happy Happy Birthday to YOU!!!!! Thanks for the giveaway. The Blue Marguerite is beautiful. I (along with many, many others) adore your parents - we served together in Korea, and they're actually how I found your blog. I love all their stars, but I think I'd choose the Star of Dazzling blue. It makes me think of summer skies, all the colors of the transformations it makes from the pale blue of early morning to the deep blue of sunset. I would pick the colorful mini star necklace, the turquoise and red star, and the baseball star... wait I can only pick one?!?!?! all the stars are beautiful - i think i'd choose the saffron star, so cheery! Oh i really want to win this. I love moon stone. yes i do. I have a red one in my kitchen window and i think an aqua one would look so cute with it :) ~Happy Birthday! Happy Birthday! I would choose the Lucy in the Sky star, because my daughter's name is Lucy. Happy birthday! Your parents stars! I remember you posting about them. I would love a cobalt blue one- my favorite color. Tomorrow is my birthday- 45! Happy Birthday! I would choose the one my FIRST sweet baby wants. Her graduation (high school) party is Sunday. We're so proud of her!!! They DO have the BEST packaging! I would love the "Clark Star 9 inch royal blue and yellow stained glass". So beautiful. The Handel's Star is lovely. I can just imagine it hanging in the window come Christmas time. Thanks for the generosity on your birthday. Wishing you a day full of blessings big and small. I would love one in light blue! Happy birthday! I would love the Atlantic ocean star! I live right on the water and go swimming all the time! I would definitely choose the teal sea anemone star. It.Is.Gorgeous. Thanks for the chance! Happy Birthday Katy! I hope you celebrated with all the fizzy drinks you can hold! If I were choosing a star, I'd choose the robin's egg blue one, and hang it in my kitchen window, though I am saving for the star garland to hang over my picture window at Christmas! I'm right behind you in age and I am pretty sure I'll be all gray by 40 at the rate I'm going! I love the red heart star. Wow, happy birthday! May it be a good one and a great year! Happy Birthday! I love that little silver white guy - super cute! Love these! I like the colorful ones for suncatchers but I think I would probably choose a red and white Christmas-y one for my tree. Happy birthday! Ooo. I've been admiring these on your blog for a while. I'd have to go for a nice happy-colored one: orange, bright green, or yellow. Or the bright blue. Okay. Very hard to choose. so hard to pick one!! i do love handel's start though. I'd choose black and white striped, hard as it is to choose!!! Happy Birthday! It's hard to choose, but I really love the Atlantic Ocean Star in teal,turquoise or green. It would be great to hang in my new beachy bathroom! Happy Birthday! So hard to choose, but if I had to I would pick the Orange Blossom! Oh how fun and happy birthday, to you! I think Renaissance blush is beautiful! happy birthday! :) i love these stars so much...there are too many to decide! ;) i love the ones with lace in them, so pretty. Happy, happy birthday! The stars always make me smile! Happy B-day! Love the stars!! The one with yellow daisies is so pretty!! Thanks for the giveaway! Oh Handel'sStar! 'Unto us a child is born' oh yes p,ease, that is perfect! The peacock star would look PERFECT hanging in my kitchen window, but that Rainbow Round Your Star necklace is a.dor.able. Feeling lucky! I love the lime in the sky and the flora lime. I cant decide I think i would take one of each! I keep meaning to order one. I woud choose the yellow one! My favorite color and my school color = double win!! The shining star necklace would be perfect! So nice to know about your parents' shop. Lovely things! Happy Birthday to you! I would LOVE to have another one of your parent's stars. I would choose the Katy star - seriously, not trying to brown nose, I just love that one! Happy Birthday! The stars are beautiful. I love Handel's Star the very most! Happy birthday! I'd choose the Dazzling blue one--I love that song! Happy Birthday! I would pick the Teal Sea Anemone Star! Happy Birthday! I am having a hard time choosing. I love the Star of Qatar as well as the Over the Top Christmas Topper. I also keep meaning to find a reason to buy the Christmas garland. Maybe my husband wants to buy it for me for my birthday in November! I love the sea anemone star -- so lovely! Happy birthday to you! happy birthday katy! i just got some of your parents' christmas stars and was thrilled! overjoyed! delighted! i think whether or not i win, i will order some other non-christmas stars for my mantel. we do currently live in texas so what could be more fitting than a star?! :) i might chose the blue one you have above. Happy Birthday! I like the moonstone star & lucy in the sky. Happy Birthday! (again) I can't quite make up my mind between Plump Peppermint and Jefferson -- I love them both -- thanks!! Love the blue gingham! Happy birthday! Love the Truk Nesdunk! So fun! One of the Halloween ones for sure. Although the Charlotte Star is awfully pretty and would look lovely in my kitchen all year round. I love the persimmonie star! Happy Birthday! It would be hard to choose from all that loveliness, but my favorites were Handel's Star, Orange Blossom, and maybe Scaredy Cat. Such fun! I love, love, love you parents stars! I dream of buying all of them. :) Gorgeous. As far as which one I'd pick... it looks like they no longer have the one I REALLY wanted (the Mary Deane Star with the pink heart) - but I do adore the one listed now with the clear heart. Rose Gauze is beautiful too. It's so hard to pick just one! Happy Birthday! I would choose the moonstone one. love the blue star filigree ... it would match my kitchen perfectly! I Would.Have.To Go With The Katy Star In Your Honor! The Lucy! It would be perfect over my sink! Happy Birthday! Katy, you are so right about your parents' packaging. I ordered three of the pink stars to benefit that beautiful young girl, and the packaging was soooo adorable. I loved it just as much as the stars!!! I've given each of my granddaughters a star, and would love to win one for me!!! Happy birthday, lovely lady! I'd choose watermelon lace! Gorgeous! I would love the Cheery Cherry! I look at these stars at least once a week! I LOVE the teal star with the yellow center! I love the painted rainbow star. so fun! Happy birthday! All of the stars are amazing! Such great artwork! I loved the star of Provence. Beautiful colors! Thank you for the birthday surprises! I hope you are enjoying your day. I would chose the deep sea foam memory star on page 1 although it is hard to chose just one. Happy Birthday! I love the Flora Lime star! SO beautiful! Happy Birthday! I would love the black and white stripped one! Gorgeous! Happy Birthday! Love your parents Stars!!!! I would choose the 5 inch kiwi. Happy Birthday and thanks for the giveaway! I love the holiday ones, either Christmas or Independence Day ones! island cruise in winter sounds great! happy birthday to you! Hope your day is wonderful! I love the robin's egg blue star! Perfect color! Happy Birthday! I love your parents' stars! It's hard to pick just one... but I think I like Flora Lime. I love the peppermint star. I have Christmas on the brain. Happy, happy, happy birthday!! The Sunflower Star, without a doubt! i already have one of your parents' lovely bigger stars, so I would probably want one of the tiny sets of stars strung together. I am in love with the orange star on the bottom row! It's stunning!! Happy birthday!! I love the yellow and blue stars! Happy birthday! I love the Star of Dazzling Blue! Happy, Happy birthday! I love these stars! I have no idea what one I would choose! I'd choose the Blue Marguerite Star. It's gorgeous! Choosing is impossible! I'd have to get a 2nd party involved to help me. How did your dad get started with the stars anyway? A very happy day to you. Thanks for the chance to win! The tree topper looks amazing, I'd choose it. They are all so beautiful but I really like either Celtic Christmas or Robin's Egg Blue! Thanks for the chance to win! I have bought numerous people stars. They love the stars and the packaging just as much. I haven't gotten myself one. 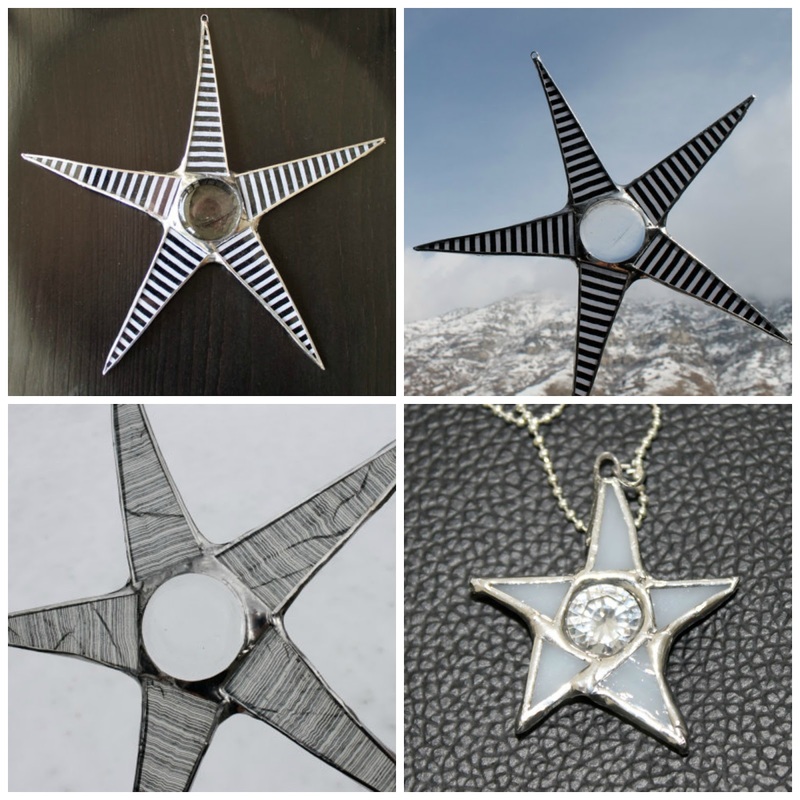 I like Starlight Mint- 8 inch lacquered and stained glass star, Spring Green Stripes - 9 inch lacquered glass star, or Persimmonie. So many good choices. I love all of them, but probably would choose "Dancing into Autumn", because we are...and it is so happy. My Birthday is coming up too. August 3rd, and those gray hairs just don't stop. I hope your day is a wonderful one. Happy Birthday! I am so digging the yellow star! I actually woke up yesterday morning thinking how beautiful one of your parents stars would look hanging in the window of my classroom! (I teach 4th grade). Yellow is a perfect color, perfect for both boys and girls! What a great was to STARt your birthday. Thanks for sharing your favorite things. My new studio has a lot of lime green. I would totally have a lime green star in there. Love the stars. I have the Waldo star and everyone loves it. Happy Birthday! I would choose Handel's star...beautiful! Happy Birthday! I'd choose the star of Qatar...it's beautiful! Thank you for the giveaway and can you tell us more about that fantastic quilt? The Blue Marguerite Star is just gorgeous.....I'd be more than happy to be the owner of this one! :) Happy Birthday Katy from Oz! I've looked at your parent's store before, and although I want SO MANY to decorate the windows of my home, I'd have to choose the pink one for my aunt, who has beaten breast cancer!!!! Happy Birthday...the star of darling blue is beautiful....but I would love a suprise package..that would be fun. love the atlantic ocean star! There's so many!! I like the South Pacific Palette. Love the Lime in the Sky star! And happy birthday!!!! !